In 1837, brothers Joseph and Edward Tetley were selling tea right off of the back of their horses, paving the way for what would soon become Tetley Tea company. The world watched as London quickly became the global center for tea trade. These entrepreneurial brothers took advantage of this by moving the company to the central location almost 20 years after the company’s humble beginnings in Yorkshire. Joseph Tetley soon became the business’s primary owner, naming the company “Joseph Tetley & Co., Wholesale Tea Dealers.” Within a couple of decades, Joseph’s son came on board to the tea company, and they began the process of distribution in the United States. Like most tea companies who have been around for generations, Tetley had a few business practices that set it apart from the competition. Though tea bags were not especially popular during the company’s developing years, Tetley took a bit of a gamble. This gamble later took them into an untouched market of round tea bags, which they introduced to the United States in the 1990s. Today, they are known for their unique drawstring tea bags that were released in the U.S. just a short 18 years ago. This tea brand now boasts being the world’s second largest tea bag company. A whopping 70% of the tea sold in the States is in tea bags, and in the UK, over 85% of tea is in bags. The company was acquired by the Tata Group (now known as Tata Global Beverages), an ethical, well established combination of businesses in India who has a history of practicing fair labor well ahead of the laws requiring it to do so. They strive to lead by example among six continents with issues like maternity leave and reasonable working hours. They also help promote these ideas by being a member of the Ethical Tea Partnership. Most of their products are also kosher, and the tea company never tests on animals. About 10,000 estates among over 30 countries are responsible for growing the tea that eventually becomes a signature brew by Tetley. Their taste testers use their combined 80 years of experience to taste thousands of teas daily, long before they are ready for your tea cup. In fact, one tea bag may contain tea from several different countries, just to get that perfect blend of color, strength and flavor. For example, the tea brand’s British Blend is a mix of both Kenyan and Assam teas. 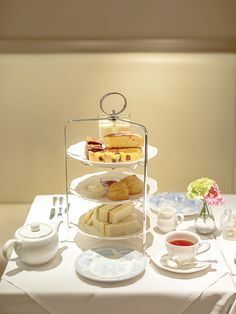 Teas are also somewhat catered to their local markets, meaning the company’s tea may have different flavors in the States than in Canada or the UK. Each region has different preferences based on history, trends and even culture. The Company is also uniquely known for their refined blenders. With just 10 blenders in Britain, one blender confessed his taste buds were insured for one million euros. Because the taste of tea is very sensitive to the area its grown and even weather conditions, blenders must work to make sure all of the teas are consistently similar. Not only do they ensure they are similar in flavor, but also in color and thickness. Current flavors marketed by Tetley tea include their Classic Blend, British Blend, Iced Tea Blend, Green Tea, and a Black and Green Tea Blend.